In small plants, we refer to storage areas (sacks or containers). Medium and large size plants use silos. 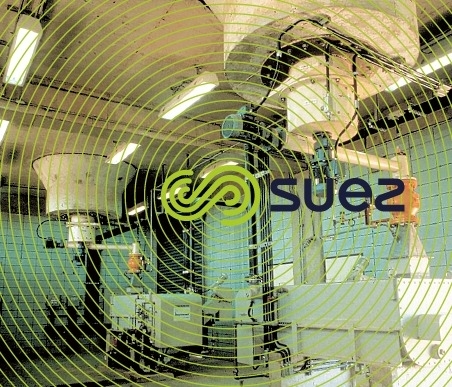 A silo will vary in capacity (15 to 200 m3, and even 400 m3) depending on the size of the plant and its intended autonomy. Products are delivered in bulk by lorry or truck. Silos can be constructed of metal, glass fiber reinforced polyester or of concrete. They are cylindrical-conical in shape. Silos (photo 4) must be fitted with a vent equipped with a bag filter and a pressure relief valve to deal with overpressure. The bends on 80 or 100 mm filler conduits (1) must have a bending radius that will limit wear and pressure drops. 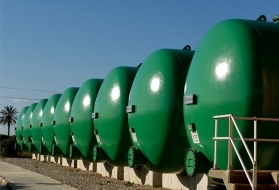 Whenever possible, the length of the pipeline must be restricted to a minimum. The silo must be earthed to prevent mounding caused by static electricity. The storage capacity must be significantly greater (by at least 50%) than the volume delivered. 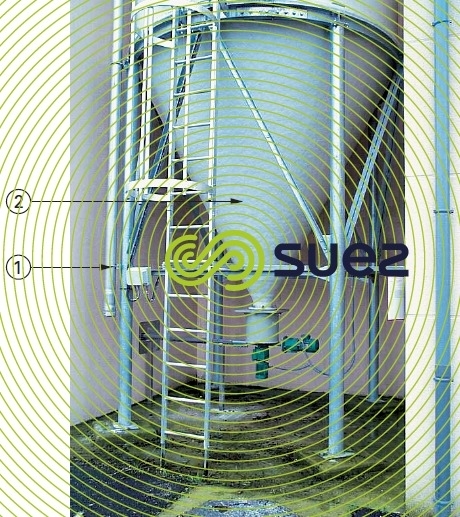 For ease of drainage, the cone slope (2) in the base of the silo must be at an angle of at least 60° from the horizontal. The silo is filled pneumatically from the top. 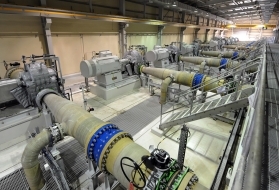 The product is blown (using air delivered by a compressor mounted on the delivery vehicle or by a fixed unit) into a hose coupled to the silo’s riser through a quick fitting union. Transfer pressure must not exceed 160 kPa. Note: product weight can also be checked by weighing the silo. fluidisation: injecting low pressure air (20 to 60 kPa) into fluidisation plates mounted in the silo’s conical section. This mechanism only produces satisfactory results when it is used intermittently and with completely dry air.